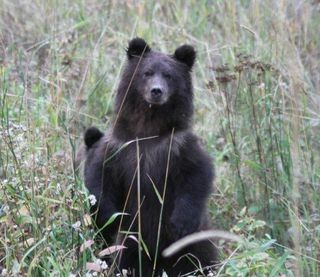 A wildbear has been spotted in Chitta Batta Bugermung in Mansehra District in KP Province in late Dec 2018. The bear probably has come down in the populated areas due to cold weather in the mountains and in search of food. It is important that he should be rescued as quickly as possible before the people end up killing him out of fear or for no other reason.